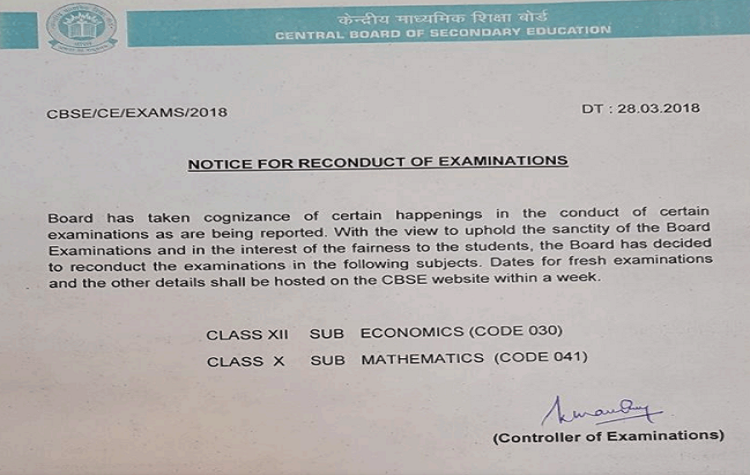 CBSE has decided to re-conduct exams for Economics (Class 12th) and Mathematics (for Class 10). Dates for fresh examinations will be announced soon. The news, however, has left both students and parents fuming. Most of my friends slept for a total 7 hours(out of 48) to study, cramp, revise and prepare for their Economics exam. They had to and they did. They wrote their exams and the curtains fell… Or they thought. #CBSE wants them to write the exam again. Man, how dense can you be! Today I came home happily finishing y #CBSE class 10 math paper & was surprised to find in the news that the paper was leaked & we have to rewrite our exams now, like literally I don’t understand what are the officials doing. #CBSE I came running home and told my mother that the exam was easy and my hard work paid off. Was very happy but then the news of this paper leak. Cbse itself is the cause of stress why to blame studies. Many people already planned to go somewhere after long studies, what to do? Kids will never forgive you #CBSE. This is nothing less than torture. 16.38 +11.86 L is almost 28 lakhs students. imagine this amount of students and the amount of power they could have if they come together.